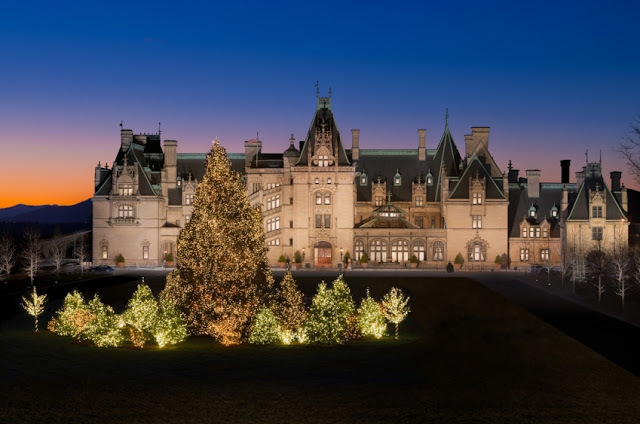 The Biltmore Estate located in Asheville, N.C. is expected to welcome more than 300,000 guests from November to January 6 this holiday season. Each year, staff work an entire year to plan, coordinate and execute a new Holiday theme yearly. 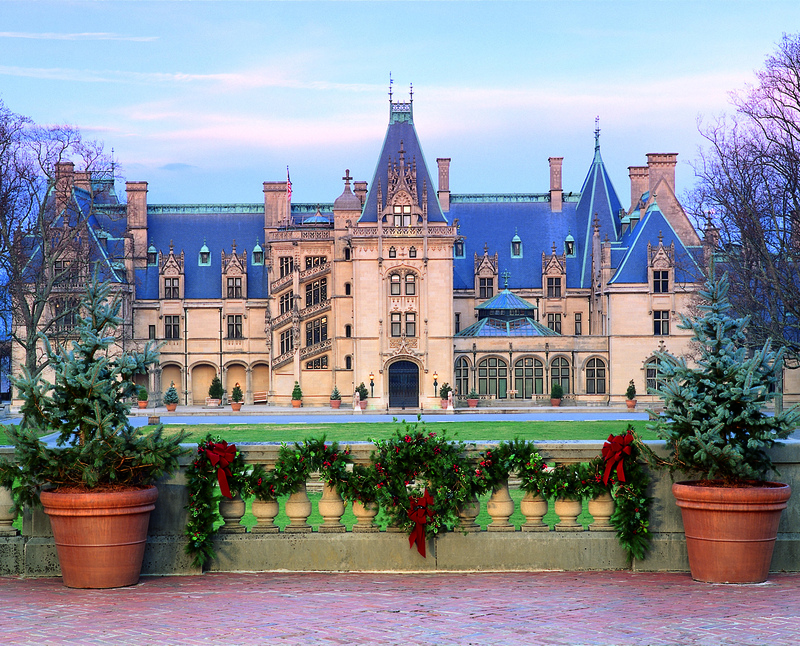 No doubt, the Christmas season at Biltmore is the busiest time of year for the estate and also one of the most beautiful seasons. 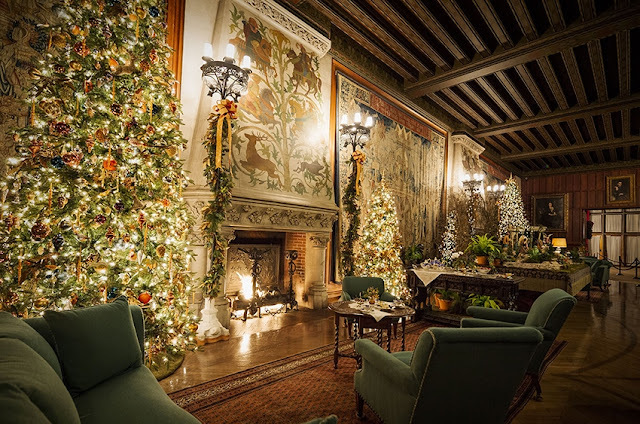 The 2018 theme is the "Art of Christmas" where designers are taking inspiration from George Vanderbilt's artwork as well as their travels. 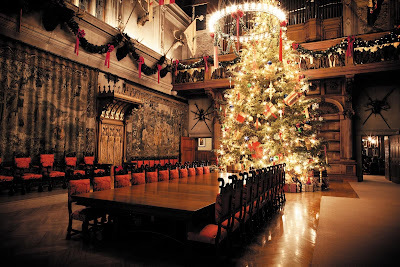 I first wrote about Christmas at Biltmore in 2011, which was the first year I started this blog. My most recent visit to the Biltmore Estate was this past summer in 2018 to see the "Chihuly at Biltmore" exhibit. Biltmore does a fantastic job of making visitors want to come back to the estate and often. 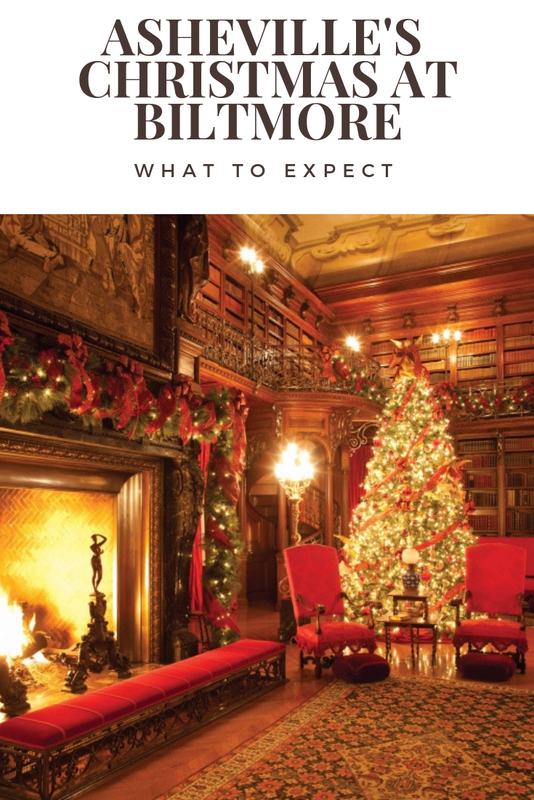 Here are some of the essential things I think you need to know to plan your holiday visit to Biltmore or any time of the year. The Biltmore Estate has two hotel properties inside the gates. I've stayed at both properties and would be happy to stay at either one again. I like the location of the Village Hotel in Antler Hill Village because it is walkable to restaurants and the Biltmore winery, but both properties are unique and offer different vibes. The Inn at Biltmore has beautiful views, afternoon tea, a spa, and is a 100-percent luxury in every way. All hotel guests can ride the complimentary shuttle on the estate. Ticketed admission to the home can be purchased with the concierge. 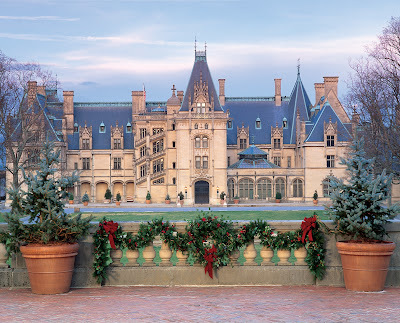 Often times, the Biltmore Estate offers overnight packages that include admission tickets. If you are staying on property, you do not have to go to the Visitor's Center. The estate guard will have your name and reservation at the gate. During the holiday season, there are two ticketed admissions for visiting. 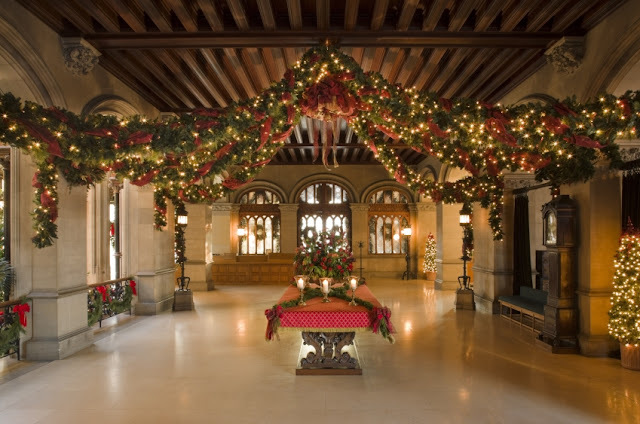 One can visit the Biltmore Estate during the day, but to see the Biltmore Estate by candlelight then you have to have an additional entry time and ticket. Depending on the day of the week, estate admission begins at $65 for an adult ticket but the Estate offers $10 off if purchased seven days in advance and can be as high as $85 per person. The Biltmore website has more on ticket prices. When picking up your tickets, prepare for lines. This is where you get your maps and passes. This summer, I was in line for a good thirty minutes. It moves fast, but during peak times the visitor's center is busy. Make sure you allow plenty of time for a restaurant reservation or house entry time. Biltmore advises allowing at least 45 minutes drive-time between areas on the estate. Candlelight Christmas Evenings at Biltmore are more costly. Prices for tickets begin at $70 and can be as high as $90. Daytime visitors can get an upgrade for evening admission. Candlelight Christmas Evening guests can arrive as early as 8:30 am, and if you arrive after 4:30 pm then you can visit the estate gardens the next day. We took Andy, our dog to Biltmore on our last visit to the grounds. I really do not recommend taking your pet. The Biltmore Estate does have some first-come, first-serve kennels for visitors to use, but animals are not allowed on any of the shuttles, overnight at the hotels, or in the Biltmore House. Cedric's Tavern does have a dog-friendly patio in Antler Hill Village for dining. 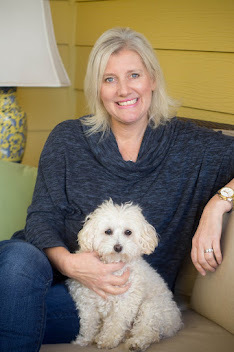 If you are taking your pet on the grounds, you will need to tell the guard that you need to park in the closet parking lot to the house because you have a pet with you. Otherwise, they will steer your vehicle toward the shuttle lots. Is the Biltmore Estate Worth the Expense to See? The Biltmore Estate in North Carolina is absolutely worth the cost of admission. It is a wonderful experience for all ages. The food on the estate is fabulous. You will fall in love with Asheville and the tranquility of the estate. If you think you want to go back often then the annual Biltmore Visitors Pass is the way to go for admission. Each holiday season, the estate offers a special discounted rate. 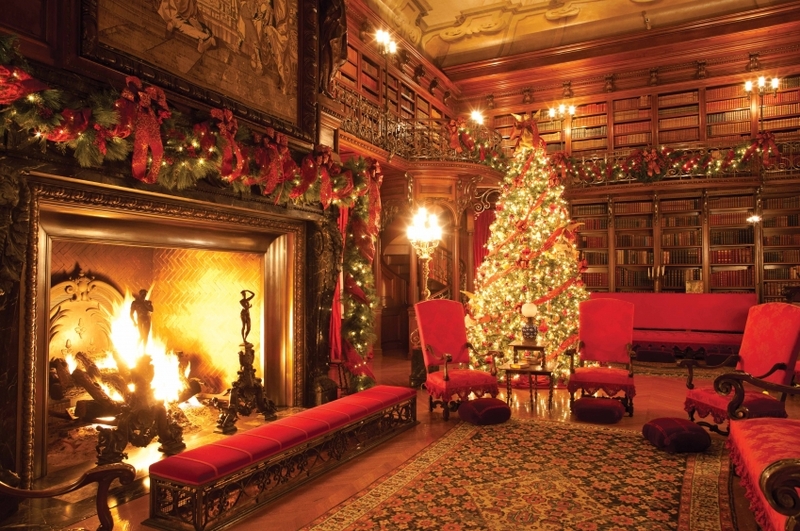 The Biltmore Estate, an 8,000-acre estate looks like a storybook wonderland during the holidays. It’s absolutely gorgeous, and many North Carolinians go every year because it certainly gets you in the Christmas spirit. 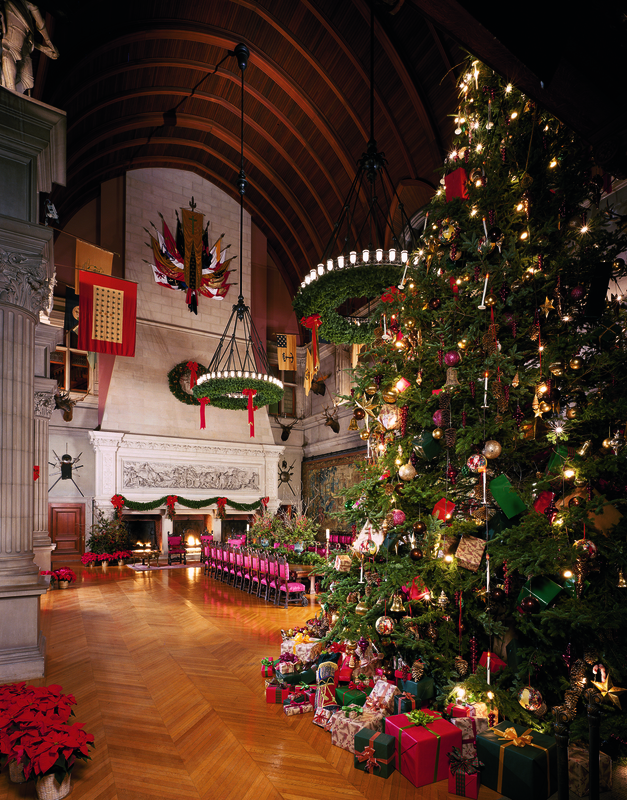 Known for being one of the largest holiday displays in the Southeast, guests will 55 decorated Christmas trees inside the Biltmore home, nearly 500 wreaths around the estate; 445,000-holiday lights and 150 candles inside the Biltmore House, with another 135,000 LED and Mini holiday lights found around the estate. Around 46,000 lights illuminate the Front Lawn tree in front of the house. Two hundred fifty luminaries line the driveway and Esplanade in front of Biltmore House. Every day, staff lights all the luminaries for Candlight guests and extinguishes them at closing. There are over 55 decorated trees in the house. The largest is a 35-foot tall Fraser fir in the Banquet Hall. Fresh garlands are made of white pine and Fraser fir. Biltmore changes them weekly to keep them fresh for guests. They use over 7,000 feet of fresh garland during the season. 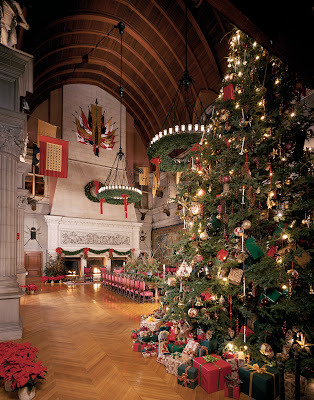 Silk, dried and artificial garlands add another 1,200 feet in Biltmore House and around 1,500 feet in other areas. Biltmore uses more than 1,000 poinsettias and other fresh plants. Are you going to the Biltmore Estate? 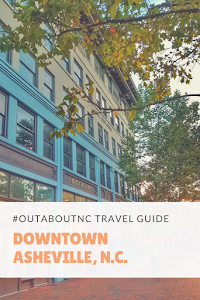 Be sure to use the hashtag #OutaboutNC and I may just feature your photo. My favorite room in the Biltmore Home is the library, and the kids love the pool. Photos are not allowed to be taken inside the home. These photos are from the Biltmore Company and are not my own. 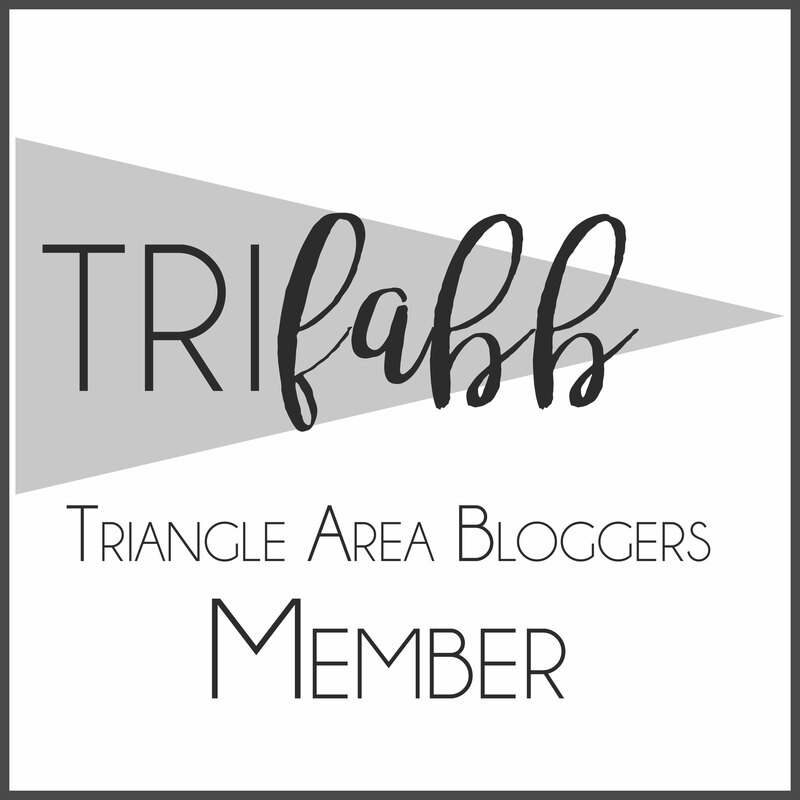 My time to write and update this post was made possible by local blog sponsor Lane and Associates Family Dentistry in Durham, N.C.